Orthodontic work can help improve a person’s self-esteem and confidence, as it helps to straighten crooked and misaligned teeth and correct speech problems associated with misalignment. 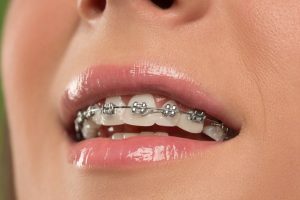 Because of how beneficial braces can be, they are ideal for both teenagers and adults alike. There are also a wide range of orthodontic appliances and options available, allowing your braces to fit your needs and your lifestyle. Braces are part of an extensive line of orthodontic appliances that are all geared to helping restore your smile and straighten crooked or misaligned teeth. They can straighten slightly crooked teeth as well as severe misalignment problems so that your smile looks great and is easier to care for each day. Virtually anyone who is unhappy with their smile is a candidate for braces. In most cases, teenagers will begin orthodontic work and will wear braces for several years before their smile is straightened. However, there is a growing trend of adults who are having orthodontic work done simply because they want to straighten their smile or have had orthodontic work done in the past but never kept up with the maintenance, which might have involved wearing a retainer at night. There are several types of braces available to fit your needs and lifestyle. Having a consultation with the dentist will help determine which option is best suited to your needs. Most people can pick and choose which type they’d like to have. For example, adults may opt for invisible braces simply because they want to benefit from orthodontic work without the world knowing they are actually wearing braces. If you want to experience the benefits of having braces, contact us today!